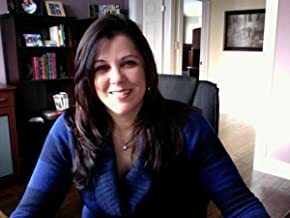 The Farthest Reaches: Brenda Sedore, Author of "A Snake In Paradise"
Brenda Sedore, Author of "A Snake In Paradise"
My guest today is author Brenda Sedore, whose book, A Snake in Paradise, was released this week. It's the story of Aja, a twenty-something woman who goes on an Italian adventure after a media frenzy engulfs her family. Why does the media storm her family's castle? Because Aja just had a run-in with her boyfriend resulting in a near catastrophe with said boyfriend's man parts and a sharp, gleaming knife. Jason: A Snake in Paradise shows off some interesting, ahem, scenery in Italy. Clearly, you've been. Can you tell us about your travels there? Brenda: It's interesting you would think I'd been there after reading the book. In fact, I've never been to Italy. It's been a life-long dream and I hope to go soon (we have plans to visit in 2011), but nope, never been. I used my friend, Google Earth and read extensively. That's surprising! Is there another intriguing story about how you came upon the idea of igniting your novel with the near-castration of your antagonist? There's no really crazy reason I decided to write a novel about my main character nearly castrating her boyfriend. Maybe it was just that I was in the middle of leaving my ex-husband...nah, just kidding. The idea came to me as I was considering what to write for NaNoWriMo 2007. I wanted to write something different and fun as I had just finished writing a deep heart-wrenching literary novel. I wanted to try my hand at humour. Who would have known that it was my natural voice? I enjoyed the process of writing A Snake in Paradise and discovered my genre or "voice" at the same time. Following you and getting to know you over the last half year, plus from reading about wineries in the novel, I know that you enjoy a good glass (bottle?) of wine every now and again. What should I serve with a meal of Chicken Marsala with Pancatta and cream? Kidding. Well, sort of. What would be your favourite red and white wines at present? Definitely a white would go with the Marsala (although I'm usually a red drinker). My wine of choice would be Latitude 50 from the Gray Monk winery here in Kelowna. Yummy! Or Hardy's Reisling would be another great choice. Those two are my favourite whites. My favourite red, well, that's like asking me what my favourite book is, or my favourite child! Some of my favourites are The Prisoner from California, and Black, an Australian Shiraz. Does your author husband, Daryl Sedore, also share a love of the grape? Daryl's favourite saying is that he's a drinker with a writing problem. So, yah, he definitely shares my love of the grape. I know that this is not likely the last we've seen of Aja and her troop. Did you set out to write a sequel? Or did you get to the end of "Snake" and discover you had more worlds for your characters to discover? The second one. The cast of characters in A Snake in Paradise ended up being such a fun lot that I couldn’t bear to say goodbye. The sequel, however, will not be Marco and Aja as the main characters. I think there’s another pair who’d like to take the stage this time. Interesting tease, I wonder which pair you have in mind! In another interview, I read that you greatly admire Diana Gabaldon. My first exposure to her work was a book called Dragonfly in Amber. It was highly commercial and a great read. What would you do if sales of your novels spiked like hers and you were suddenly wealthy enough to quit your day job and focus on travel, writing and your other interests? Do you think not having to work and struggle to get your voice out there would help your creative muse or hinder it? Yes, Gabaldon is one of my favourite authors. I believe that it would take a little time to adjust of course, but I spent 2008 – 09 not working, so I’m fairly used to it. Travel would greatly help my creativity as one of my next books is a travel book. I’m looking forward to working on that one. Your son is a musician and music is certainly a very big part of my life. Do you listen to music while you write or do you have more success in absolute silence? Yes, my son is Dan Oig, a talented young musician. I usually listen to classical or instrumental jazz while I write. I find it nearly impossible to write in silence, probably years of conditioning. I started writing when my kids were quite young and noisy. As there were four of them, I learned to write despite noise. I quite enjoy the quiet of our home now. More about the creative process: you've mentioned that you let your story carry you and have little idea where it will go when you begin. However, have you ever gotten to a point in writing a tale and been genuinely disappointed in what you've discovered? Maybe a character has turned out to be less endearing. Maybe the twist you had planned wasn't as thrilling as you wanted it to be. Do you scrap it and begin again or try to work with it and discover the gems or hidden positives it may have on the overall landscape? That’s a good question. I’ve had a few stories I started and abandoned, but not because I was disappointed in them. More because I discovered my voice was moving in a different direction. They were more serious and some were historical. I have such eclectic taste in books that it took me a while to figure out what I was going to enjoy writing. I’m still trying to figure out how to make those characters and stories work with my current style. in 'getting to it' right away come first light? No, no and yes. I don’t dislike mornings, but they aren’t my best time to work. I prefer to move slowly into the day and work best in the evenings. It probably doesn’t help that I have to get up at 4:30 to get ready for work and I’m usually in bed by 9:30. Not the best schedule for a night owl like me. Happily I’m very adaptable. know this is a ludicrous fantasy as there's alway more to be done, but go with me for a sec). What's your ideal way to spend this free moment in time? Sitting with Daryl, both of us reading a book with a couple of bottles glasses of wine beside us. We have spent many happy hours this way. I know, it’s sappy, but sometimes we look up at each other and smile, finding such pleasure in such moments. We’re very compatible that way. Sappy, sure, but I like a good dose of sap. Can you think of one major thing you've learned about self-publishing since you started on this journey? Yes. It’s hard work, but there are a lot, and I mean a lot, of rewards. One unexpected pleasure has been in meeting so many other Indie authors such as you. Nice of you to say! If you could have a do-over in the process, what might that be? I honestly don’t think there’s anything I would do over. I believe in the importance of learning from every experience. If I hadn’t gone through this, I wouldn’t have learned as much as I have. It has been challenging, but fun. I’m looking forward to all the new experiences and each new milestone as an author. The reviews have been one of the greatest parts so far. There’s nothing more rewarding for an author than when a reader gets excited about your book. Brenda, I completely agree and on behalf of your readers, I want to thank you for talking with me! You can connect with Brenda at her website, www.brendasedore.com. A Snake In Paradise is Brenda Sedore's debut novel and you can pick it up everywhere including Amazon. er, ah...sorry, got carried away. haha! Yes, B. has a very conversational style in her answers that I found most appealing. Judging by the hits to today's post, I'd say the readers agree! Thanks for the interview, J, it was a lot of fun! Why is this the first time I'm seeing this? Oh, thaaaat's right... It's because McIntyre didn't have an RSS button until a few days ago. What's in an eBook Cover? What the %$#! is 'genre' anyway?